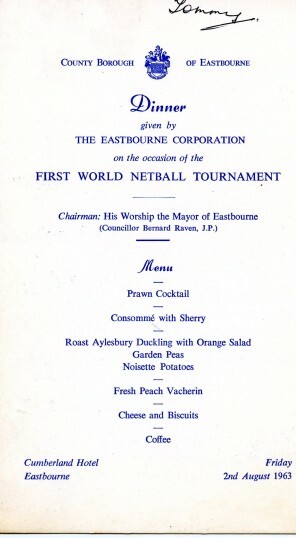 The first Netball World Tournament was held in Eastbourne in 1963. It was a relatively small affair and a far cry from the razzmatazz of the recent event in Australia. 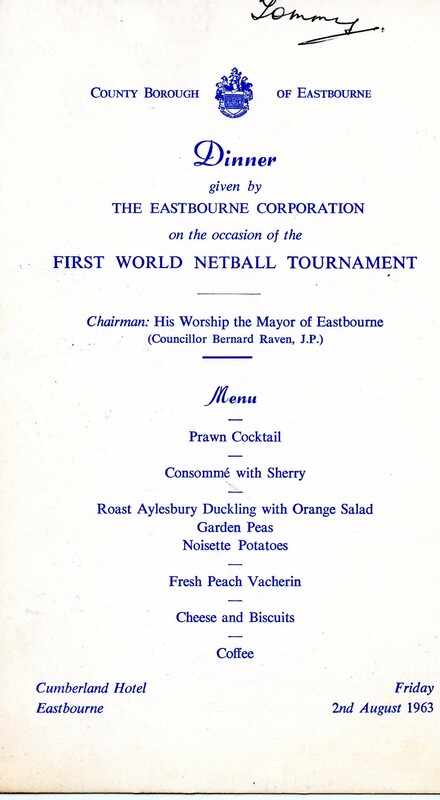 However, the Mayor of Eastbourne hosted a dinner for participants. Miss Tomkins saved her menu from the event , which has recently been donated to the archives. The menu card was been signed by the attendees. 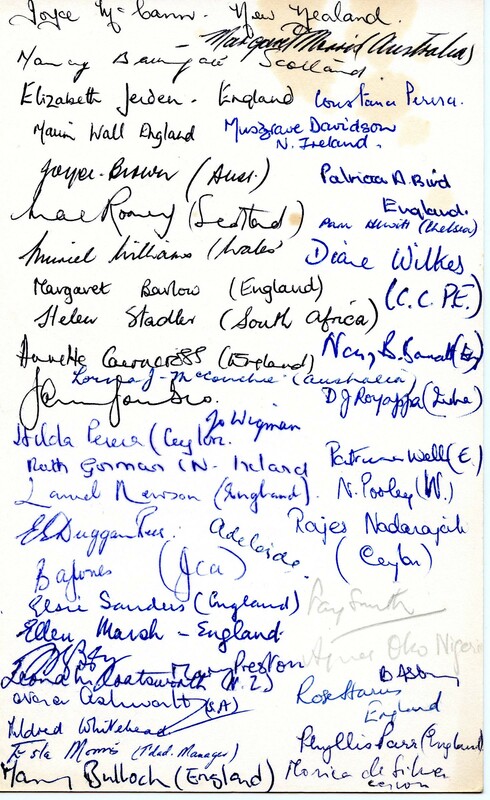 Many well know names are there – how many can you spot?